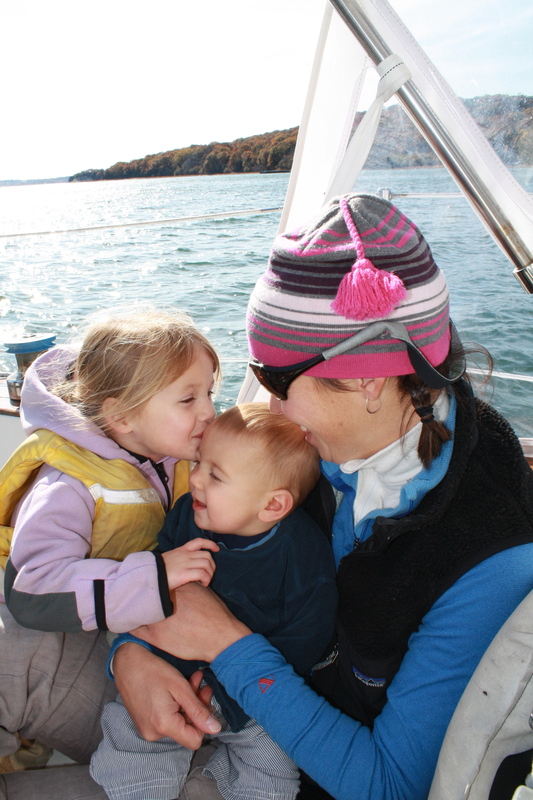 Hanging with the kids while sailing in Rhode Island. Definitely a fun 'off season' activity. I think I may have just had an off season but I really didn’t need one or deserve one. Ever since the Moab race I feel like I have been on the ‘easy’ track – slacking a bit with my training and then heading to Rhode Island to see my family. With such a short season after coming back to racing after having Axel, I am feeling more and more ready to go. I feel like the last thing I needed was relaxed training but somehow I let myself take it anyway. It is now time to get back on track, start swimming, lifting and most importantly – start training for randonee racing! Keep me going!